I think it's safe to say I'm officially over winter. Spring, I'm here waiting for you and looking forward to all the fun you'll bring. I'll take all the spring flowers, longer days, and spring fashion. 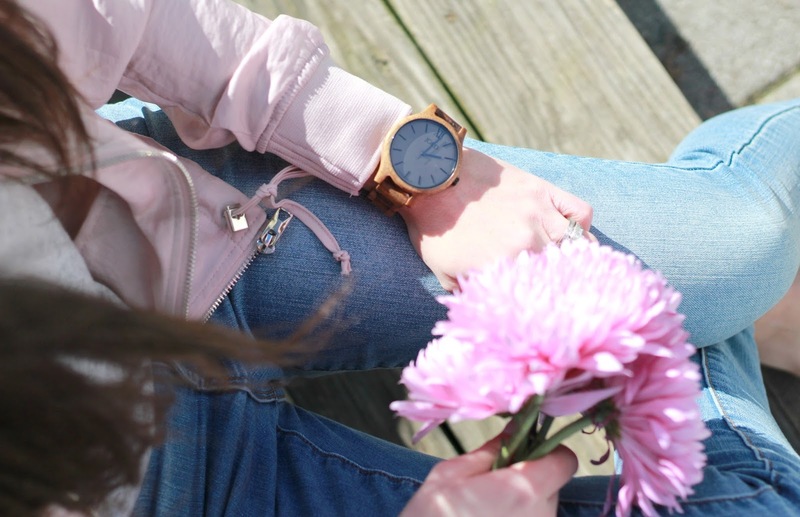 Luckily for me, I'm keeping track of time and counting down the next 13 days (oh yes, I'm counting) until spring with my new JORD wood watch. 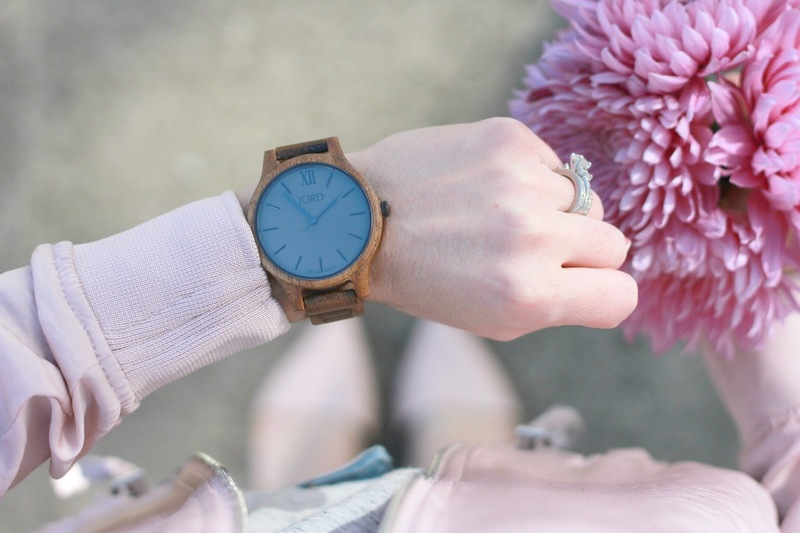 I've always been fascinated with wood watches and thinking about the construction and what goes into crafting these fabulous pieces. When my watch first arrived I really wasn't sure what to expect, but I know what I was hoping for. 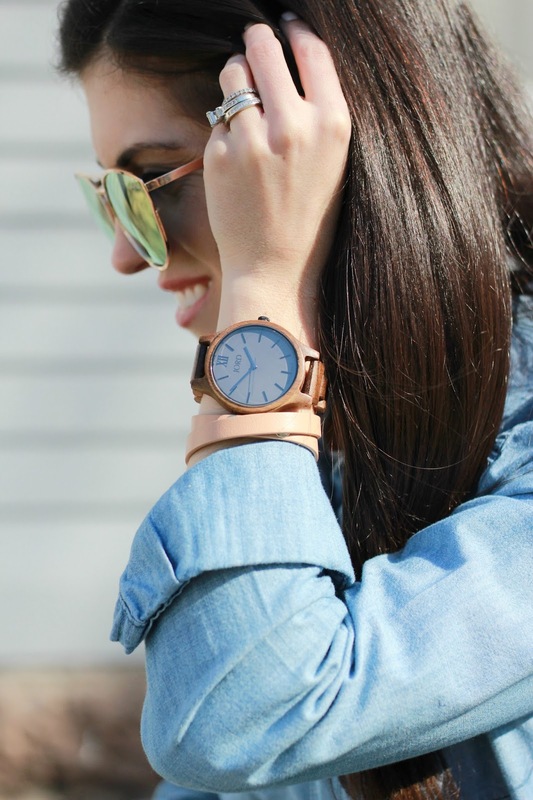 I guess I always thought of wood watches as being more on the casual side, but I have to say, it really does go with so many outfits and has become such a great statement piece for me. 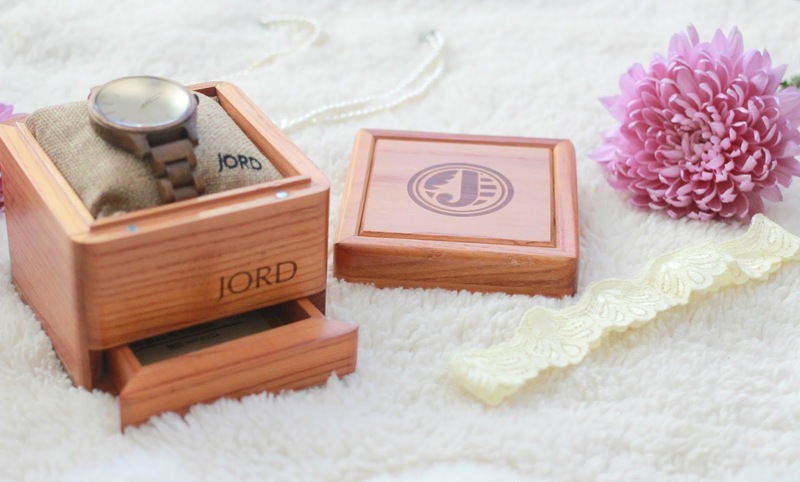 My watch arrived in a square wooden watch box which has been my go to for storing it. The magnetic lid to the box makes it easy for me to know my watch is being stored properly. I also found it so cool that there is this little slide out drawer that also includes a 2-way humidity pack that ensures optimal conditions for the storage of my watch. 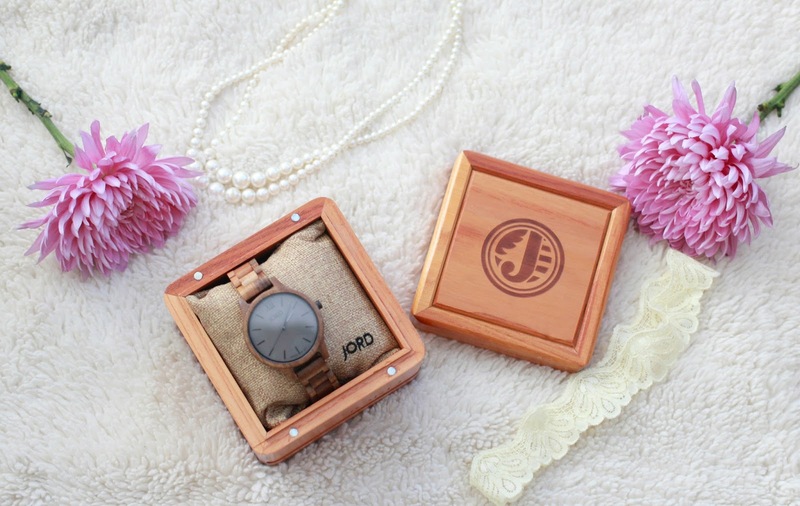 The watch I chose is from the Frankie series in Koa & Ash. Even though I have a very small wrist, I knew I wanted something with a large face and really wanted this to be a statement fashion accessory. It definitely lives up to that and far exceeds it. I love the ash colored face and the natural koa wood which is just beautiful. 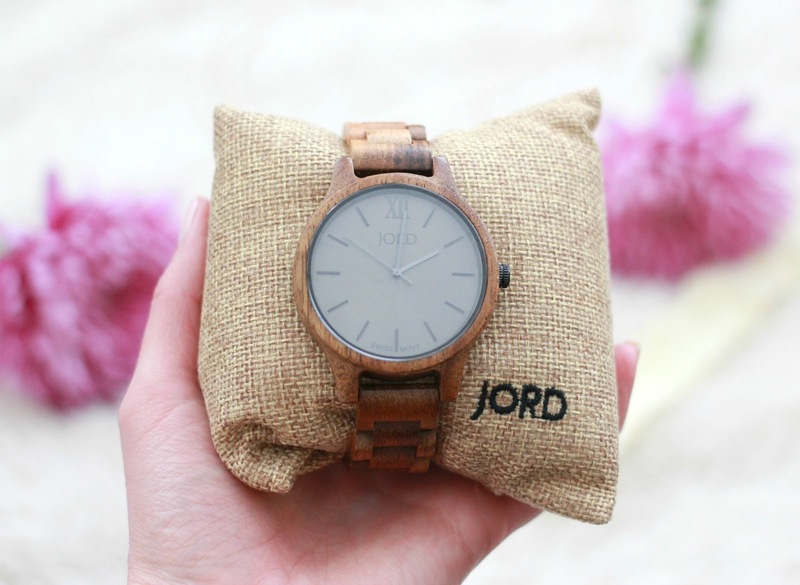 JORD has so many styles to choose from for both men and women that narrowing down just one might not be as easy as you would think (in a good way of course). This watch is so nice and lightweight which is one thing I really wasn't expecting. 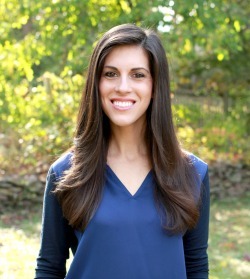 I've gotten so many compliments on it and I think I've been picking up on some not so subtle hints from my husband for what he wants as his next gift. I guess Father's Day will be here before I know it ;) Oh, and did I mention they also have an option for custom engraving?! As if giving one of these as a gift couldn't be more perfect. 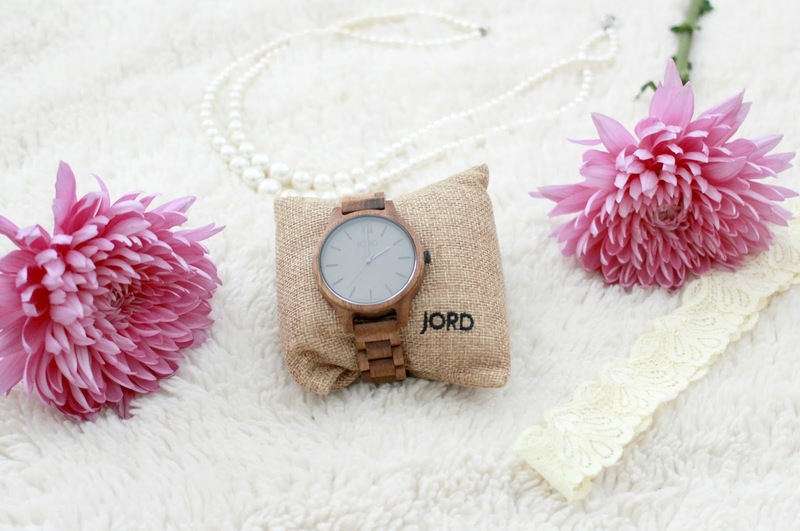 JORD has been so gracious to offer my readers the chance to win a $100 credit towards one of their amazing watches. As an added bonus anyone who enters will receive a $25 credit just for entering (how awesome is that?!). The giveaway will close 03/19/2017 at 11:59pm. Both the $100 and the $25 codes will expire on 05/31/2017. 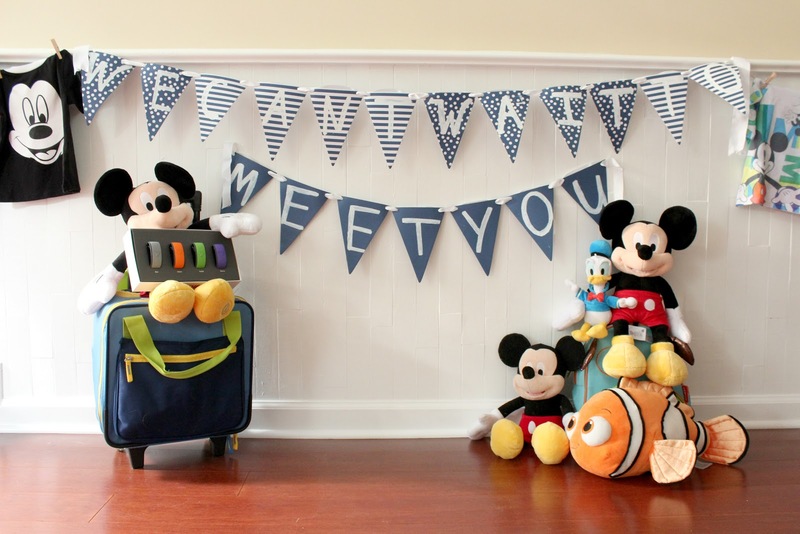 Now, don't waste anymore time (see what I did there ;) and be sure to enter! Good luck to all!